So the obvious request and idea came to mind when I announced that I’m getting married. “Aisha, it would be great for you to do a 30 days of wedding styles series.” Yes, it would be great! 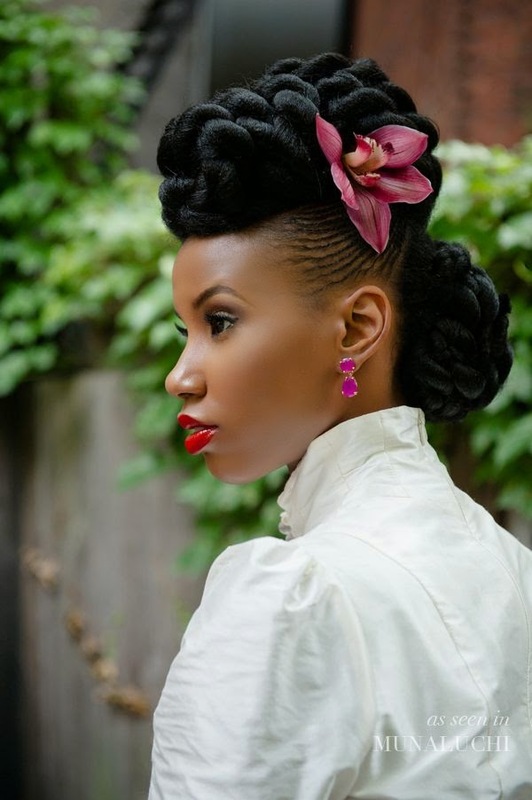 But after spending all that time, product and everything else that comes with putting your mane into a bridal style – where would I go to rock these gorgeous styles? With some of them quite simple enough to rock to work with, other more elaborate ones (eg. with tiaras or jewelled flowers) deserve an actual wedding to be featured in! But that doesn’t mean I’ve declined the challenge – just giving it a little twist. After last week’s post, quite a few of you sent me photos to start inspiring me in my decision on how to wear my bridal hair. Others have expressed that you too are NB2Bs (natural bride to be’s) and are stuck. Well, with exactly 30 weeks until my wedding month (yes, December’s the month!) I saw it fitting to share a natural bride style inspiration every week. Tweet it, pin it, Facebook share it to others. Next Post 2014 Protective Style 2: ??? Super love the hairstyle! Very gorgeous and elegant looking. I came accross an article about this young vlogger and I immediately thought of you and your new adventure. This is super gorge. Pleeeesse keep sharing. love this. been looking for inspiration too even though i have no promise of a marriage,just getting prepared. will look out for this every week! I love that! Prepare now so you're not as confused as me when the time comes lol!